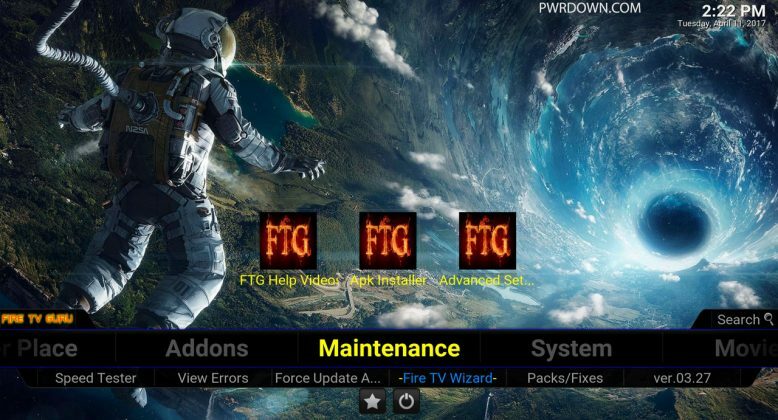 Now we’re going to look into how to install the Fire TV Guru Build for Kodi Krypton (V17). 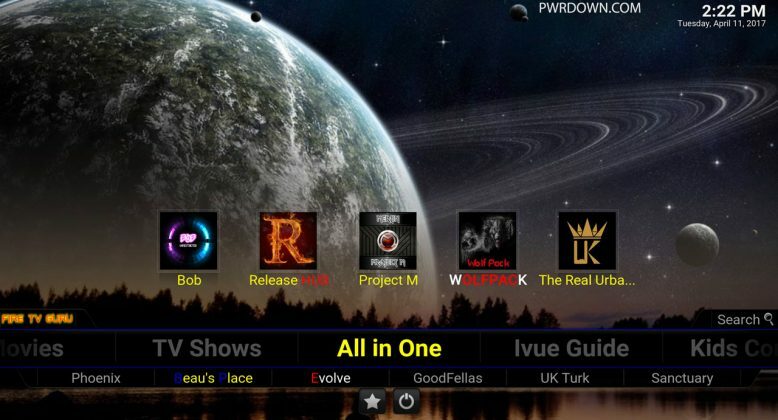 This build is part of the Ares Wizard, which has so many other builds which you are welcome to try out, we’ve covered quite a lot of these in our Kodi Builds section. Getting into it, Fire TV Guru is a great build for content. 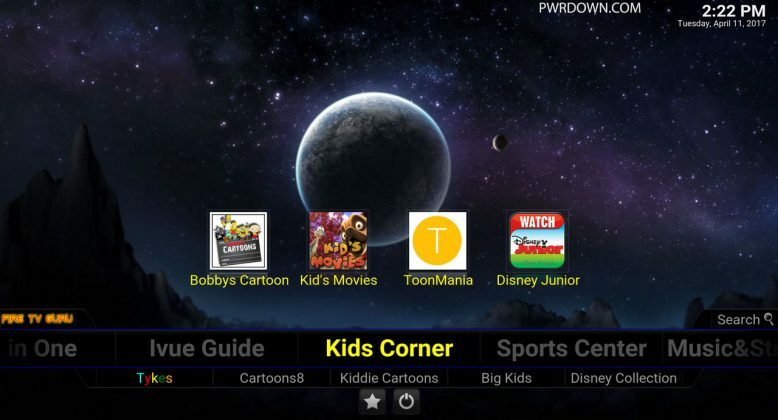 It has categories for Maintenance, System, Movies, TV Shows, All in one, IVue Guide, Kids Corner, Sports Center, Music, Misc and Her Place. 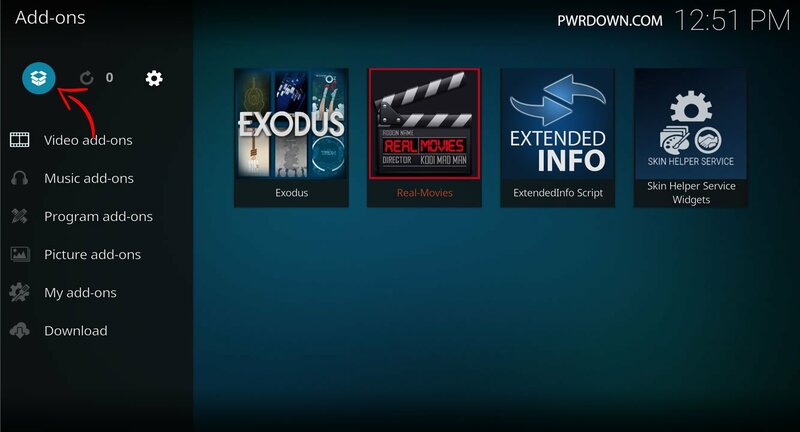 The Fire TV Guru build uses the Aeon Nox skin, which we are all very familiar with now. 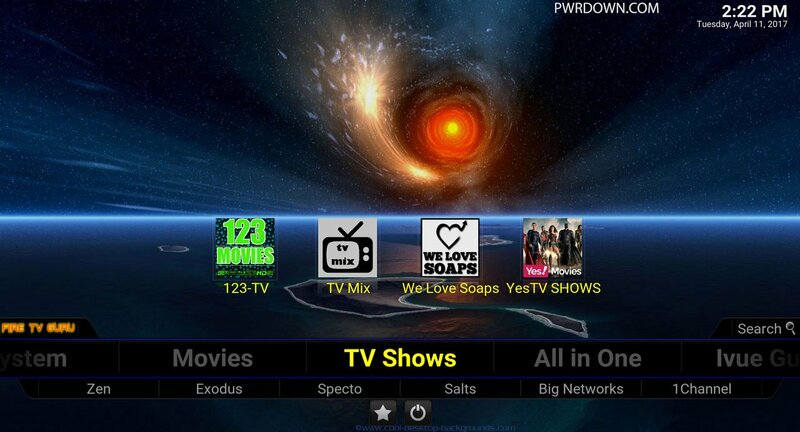 Before we begin, please note that the Fire TV Guru build is not affiliated with the official Kodi repository. 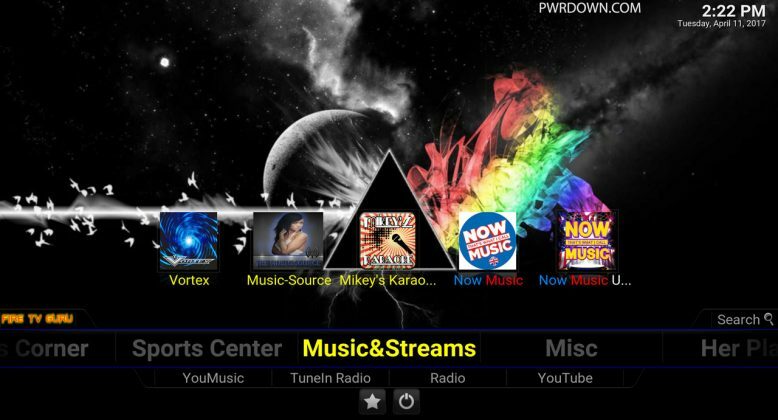 If you have questions or problems, please do not go to the Kodi support forums for help. Instead, get in touch with the Fire TV Guru team on Facebook here. Below is a quick installation guide, however if any steps confuse you, more detailed instructions including images can be seen further below. Enter http://firetvguru.info/fire/ in top box > Enter FTVG in the bottom box > OK. 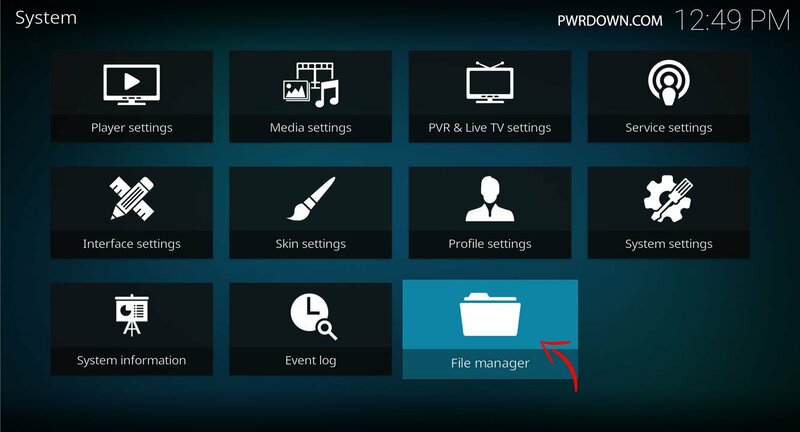 Install from zip file > FTVG > repository.firetvguru.zip. Install from repository > Fire TV Guru Repo > Program add-ons > Fire TV Wizard > Install. Done! 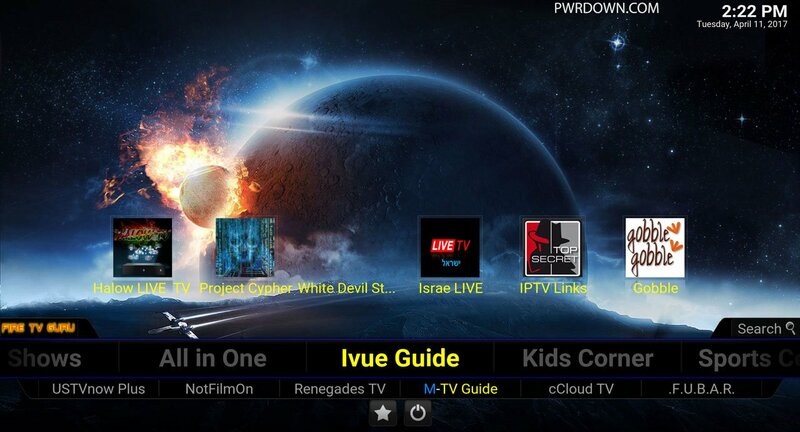 The Fire TV Guru Build is installed and ready to use. On the next window, two text boxes will show up. 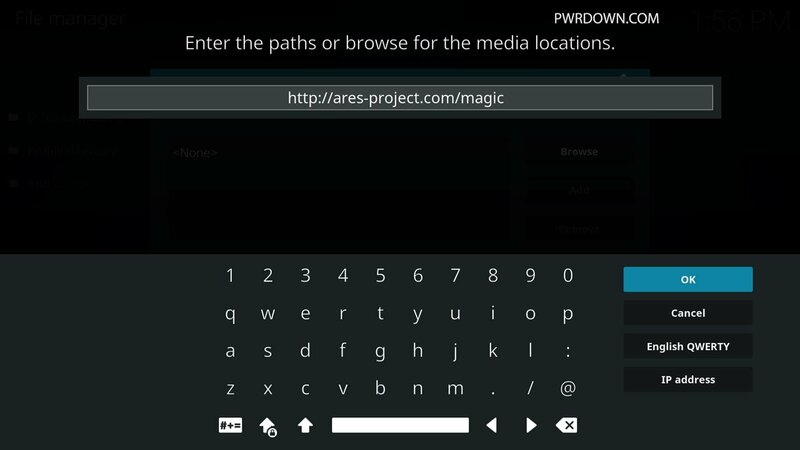 In the top one, click it and input the repository URL: http://ares-project.com/magic and press OK. In the second box at the bottom, type “Ares”. Choose the explore add-ons button, located in the top left. 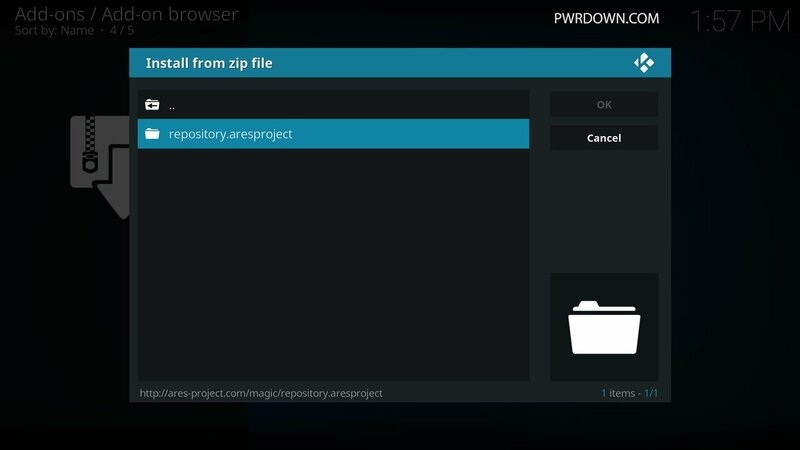 Choose “Install from ZIP File”, and go into “Ares”, then click the repository above and install it. Go back a page, back to where you chose “Install from ZIP File”, and instead choose “Install from Repository”. Select the Ares Project repository, then go into Program Add-ons. 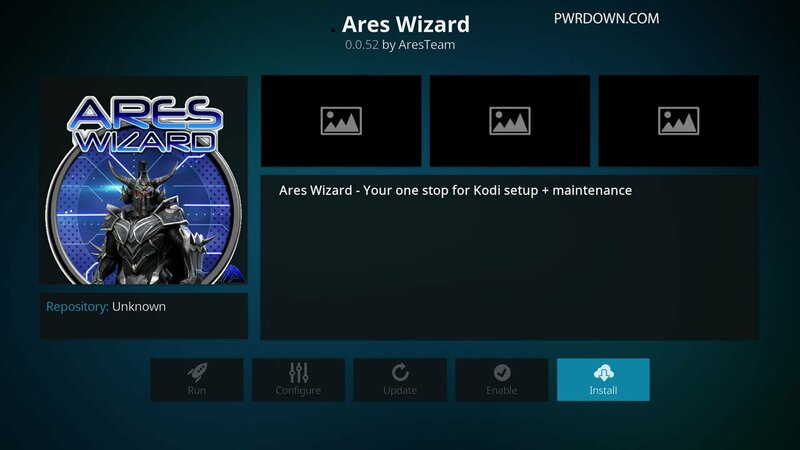 Select “Ares Wizard”. Hit “Install” and wait for the add-on enabled notification. 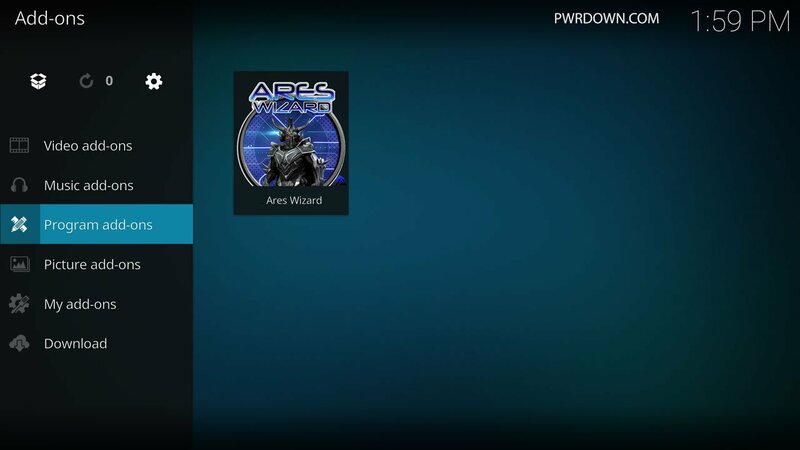 Back on the Home Screen, go to Add-ons, then go into your Program add-ons and open the Ares Wizard. 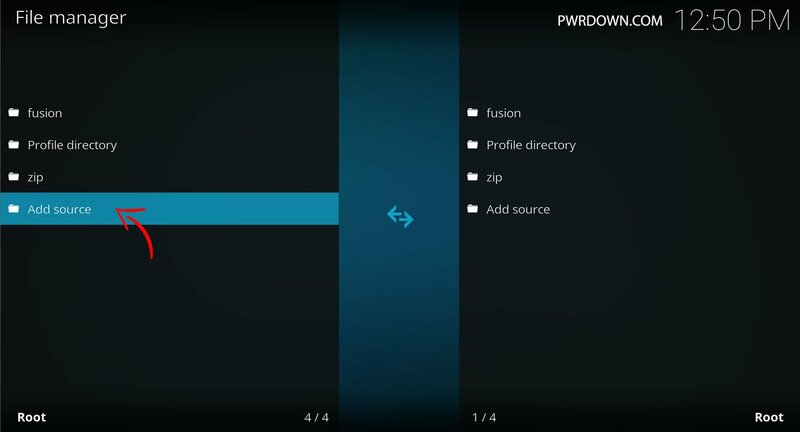 Go into the Browse Builds section, located in the top left of the image above. A large amount of builds will show up, select the one that says “Fire TV Guru”. Select Fresh Install or Standard install and let it do it’s thing. 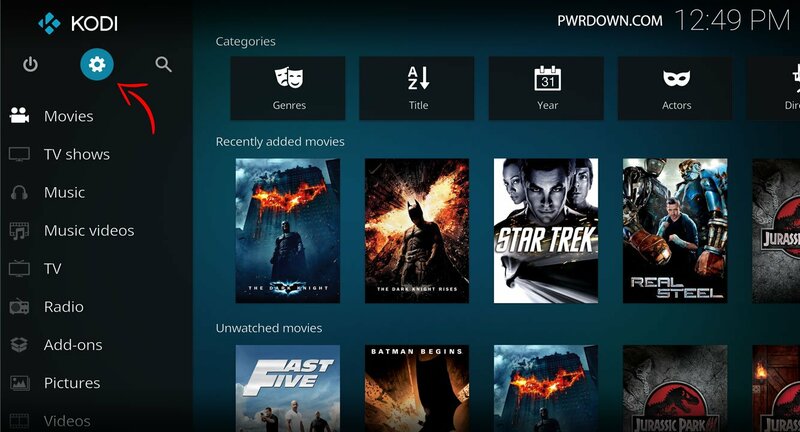 At the end it will try to Force close Kodi, which is fine. Open Kodi back up and that’s it! Give it a few minutes to set up and it should be done.